Tasked with providing enough single-family residences to make the site development economically viable for Homestead Village, we created three different floor plans that could be combined in several arrangements of duplexes and triplexes. 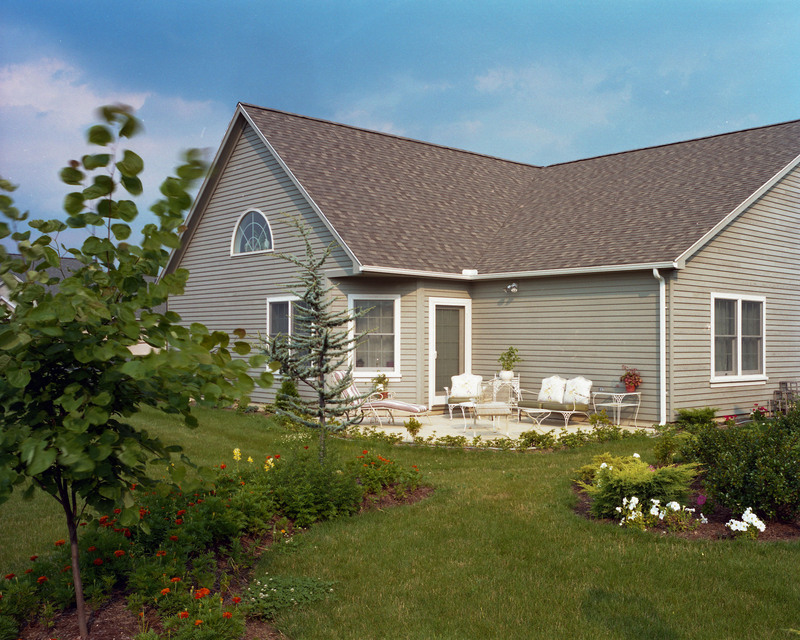 The popular bungalow style design selected for these homes, combined with spaciousness in a small footprint and other thoughtful features, resulted in the development selling out two years before projections. The craftsman style homes feature full glass storm doors, banks of smaller windows and large single windows that flood the interior with sunlight. 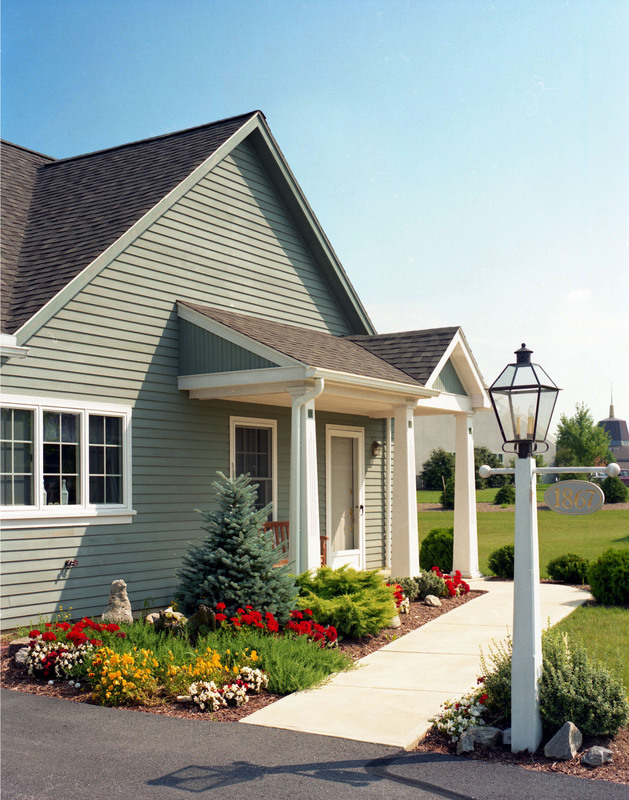 Stained cedar siding with a weathered patina offers curb appeal that likely contributed to the quick sales. With an angled corner that adds visual interest and opens the patio to the rear yard, the outdoor living space at the Villas is designed integrally with the home’s floor plan. This allows convenient access from the kitchen while providing privacy from the street and adjoining units. 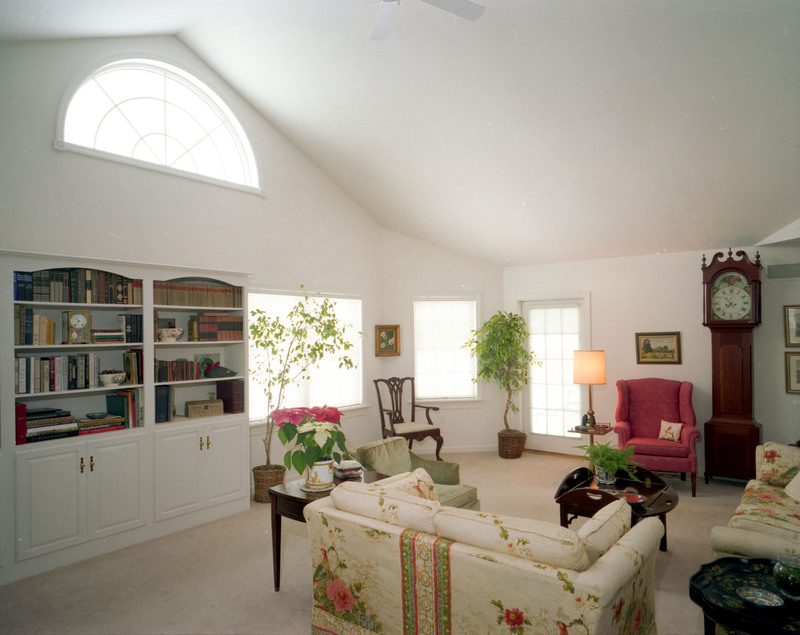 Vaulted ceilings and large windows brighten the interior of this Villa. Light, neutral finishes add to the home’s spaciousness and allow residents to decorate according to their individual style. 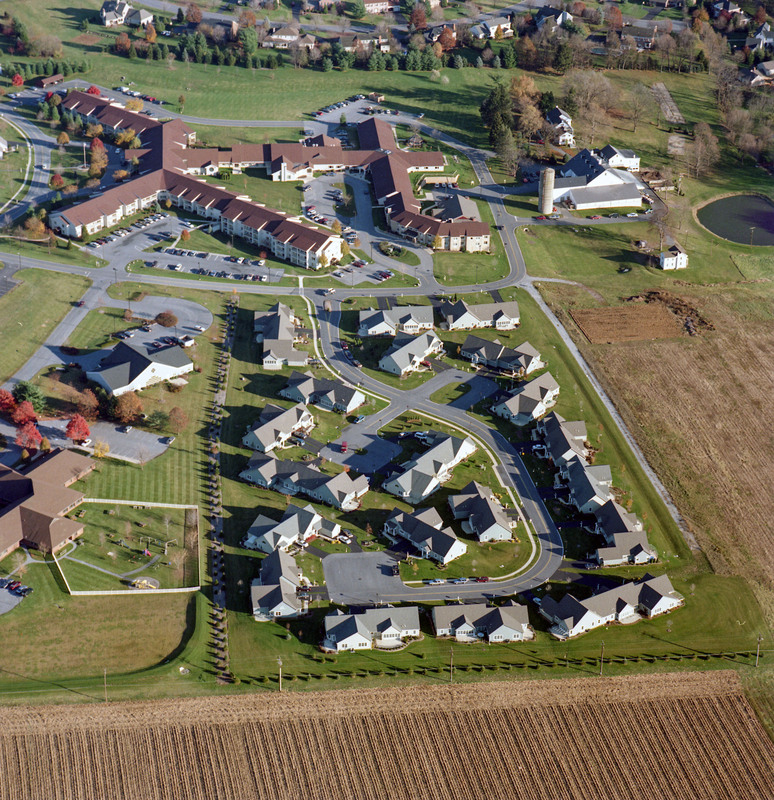 The open plan concept was a unique design feature for retirement community residences when the Villas were built. Plenty of warm wood cabinetry and a large pantry offer space for all the kitchen essentials homeowners have collected through the years. 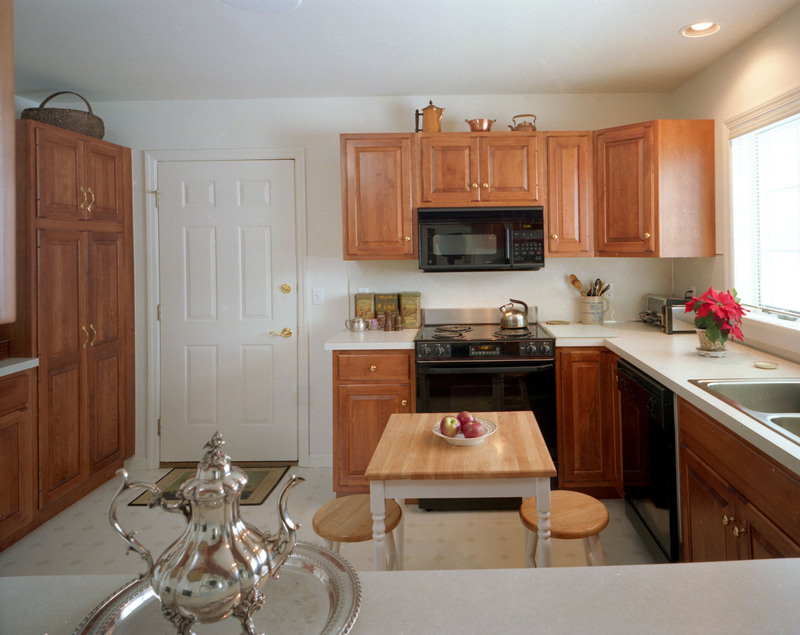 This inviting kitchen features convenient access to the garage, as well as a pass-through opening to the dining room. A bird’s eye view of the duplex and triplex designs that allow for the dense development of the site and create the ambiance of a historic residential neighborhood. 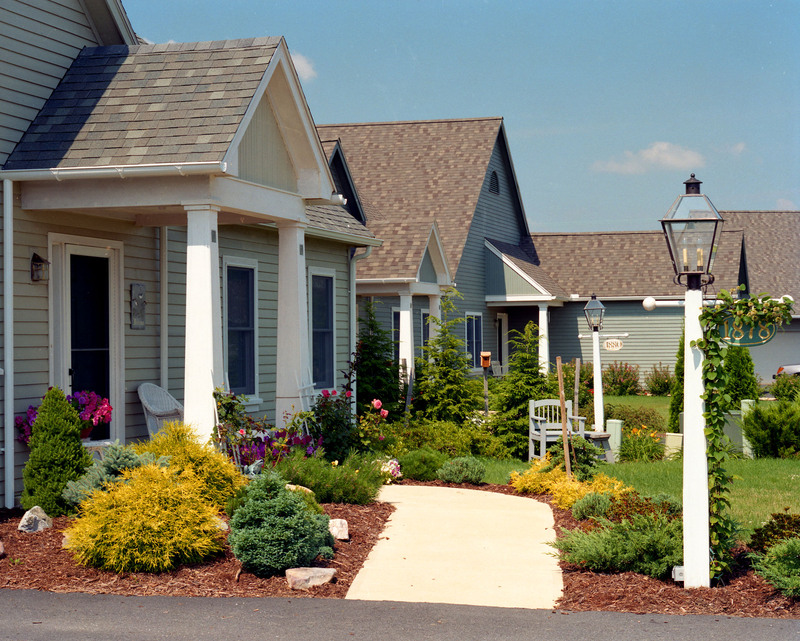 Surrounded by farm fields and community gardens, the charming community is convenient to downtown Lancaster, just 5 minutes away.